At the end of January I had a sisters' weekend in Dallas with both of my sisters. JPH, my sister in Charleston, requested a location that required only one direct flight (unfortunately she almost always has to connect to get to more western spots). None of us had been to Dallas before, and we liked the idea of checking out somewhere new. I flew Friday morning with my sister that lives here (JHS). This is the first time the three of us have traveled without our parents/other family members. I have taken several trips with JPH but JHS wasn't able to join (now that her boys are older I think we will try to do an annual trip). We arrived in Dallas in the afternoon and met up with JPH at our hotel downtown. The hotel is brand new (opened in the last month) and definitely had some kinks it will be working out in the next few months. BUT we were upgraded to a bigger room and everyone was friendly and helpful. We wanted to walk to dinner since JHS and I were not thrilled about getting back into a car after our bumpy flight and drive from the airport. We had dinner at Americano in the Joule Hotel. We explored the hotel first, looked at the stores, and checked out the lobby. Dinner was delicious! Really good drinks (they even have cocktails on tap!) and food. Saturday morning we slept in and then went to explore, shop, and eat. We had brunch at Rise. Sunday morning we ate breakfast at CBD Provisions. I had French toast with pecan "nutella." YUM! After breakfast we went to the Sixth Floor Museum. This is a must-see in my opinion. I thought the audio tour was great. It's hard to believe that I was standing where everything went down that day. After the museum we headed to the Knox Henderson neighborhood. The smaller boutique stores were closed but we found a great toy store (something lacking here in LA) and did some window shopping. JHS headed back to LA Sunday afternoon unfortunately, but JPH and I stayed on. We had lunch at Remedy and it did not disappoint! My grilled cheese was perfect. After lunch we headed back downtown to go to the Nasher Sculpture Center. 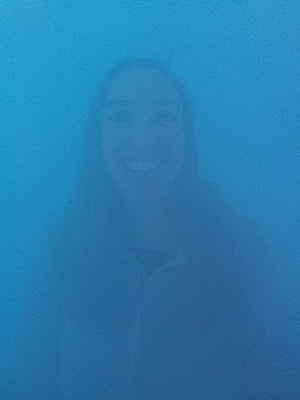 A new exhibit, Ann Veronica Janssens' Red, Blue, and Yellow, opened up the day before we arrived and it is so cool! When you go inside the room/box you can't see a thing except colored fog. Yours eyes adjust and you can see your own hands and maybe the wall if you get close but that's about it. We also checked out the Alex Israel exhibit inside. My mom actually saw him speak at an event here in LA just two days later. Small world! Looks like a photo but actually that's a painting of LA! 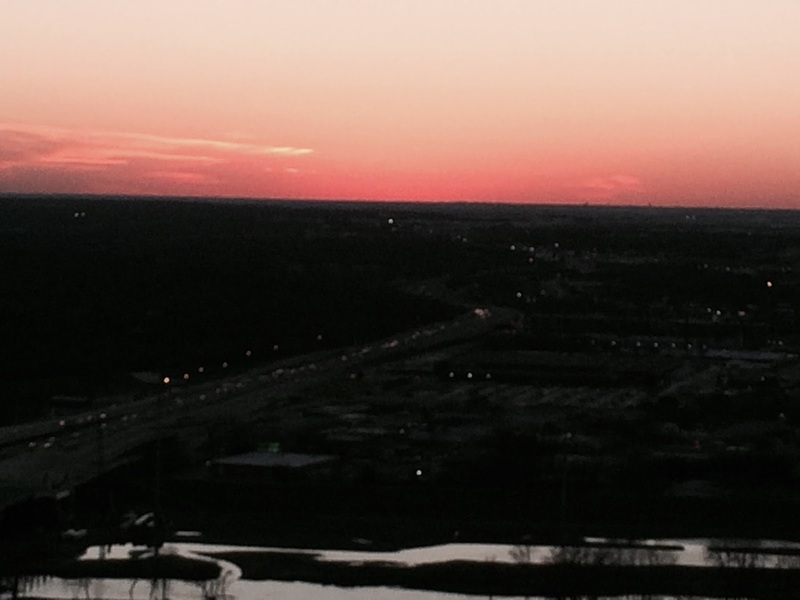 We checked out Klyde Warren Park and then headed to the Reunion Tower to catch the sunset. For dinner we wanted to go somewhere we could watch the football game and get some good bar food. We headed to Bryan Street Tavern. The soft pretzel was one of the best I have ever had! We left Dallas early the next morning. I wish I had taken more photos (I don't know how I didn't get one of the three of us!) but what a fun trip! It looks and sounds like you all had such a great time!